Cognitive decline is a common health problem among breast cancer patients and understanding trajectories of cognitive change following among breast cancer survivors is an important public health goal. We conducted a longitudinal study to investigate the cognitive function changes from 18 month to 3 years after breast cancer diagnosis among participants of the Shanghai Breast cancer survivor study, a population-based cohort study of breast cancer survivors. In our study, we completed cognitive function evaluation for 1,300 breast cancer survivors at the 18th month’s survey and 1,059 at 36th month’s survey, respectively, using a battery of cognitive function measurements. We found the scores in attention and executive function, immediate memory and delayed memory significantly improved from 18 to 36 months after breast cancer diagnosis. The improvements appeared in breast cancer survivors receiving treatments (i.e., surgery, radiotherapy, tamoxifen, or chemotherapy combined with or without tamoxifen), but not in those who received neither chemotherapy nor tamoxifen treatment. The results indicate that cognitive functions, particularly immediate verbal episodic memory, and delayed memory significantly improved among breast cancer survivors from 18 to 36 months after cancer diagnosis. In general, comorbidity was inversely associated with the improvements. 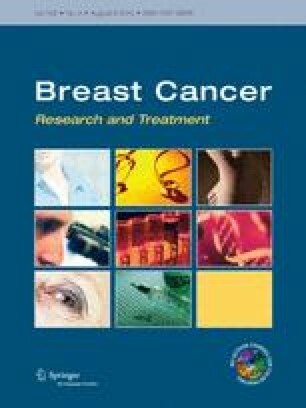 The authors thank the breast cancer patients who participated in the study and the research staff of the Shanghai Breast Cancer Survivor Study for their dedication and contributions to the study. The parent study was supported by grants from the US Department of Defense Breast Cancer Research Program (Grant DAMD 17-02-1-0607), the National Cancer Institute (Grant R01 CA118229) and The Shanghai Public Health Talented Professional Overseas Training Program. The content is solely the responsibility of the authors and does not necessarily represent the official views of the National Cancer Institute or the National Institutes of Health.